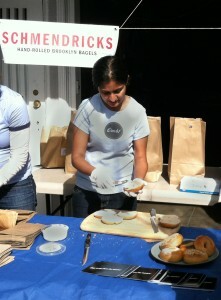 A new pop-up bagel joint, Schmendricks, set up outside of Faye’s Video on Sunday morning. Schmendricks is bringing Brooklyn-style bagels to San Francisco, and the bagel-makers even ask you how much cream cheese you want. People who had heard news of the bagels came to Faye’s early this morning inquiring, but Schmendricks didn’t set up until after 10 a.m. The bagels sold out in about an hour. 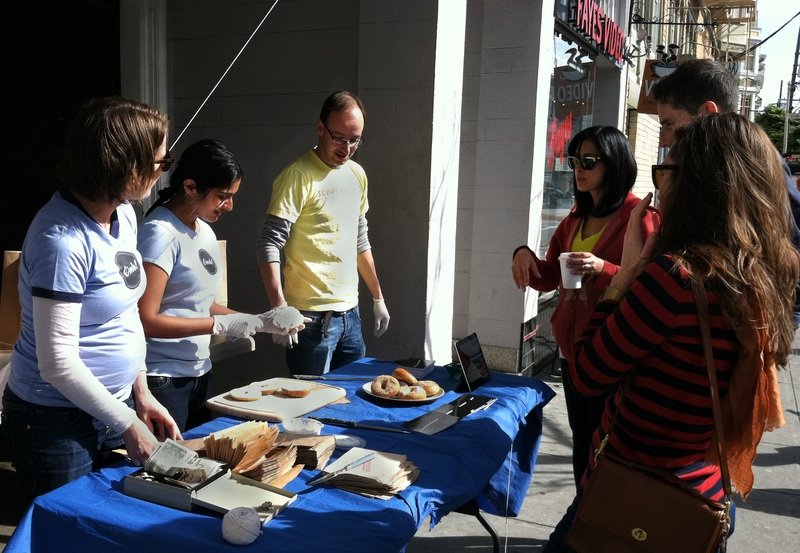 Schmendricks may be popping up outside of Faye’s and other cafes, but you’ll have to follow them on Twitter to find out.